So I had this crazy idea and decided to start a new series on the blog. 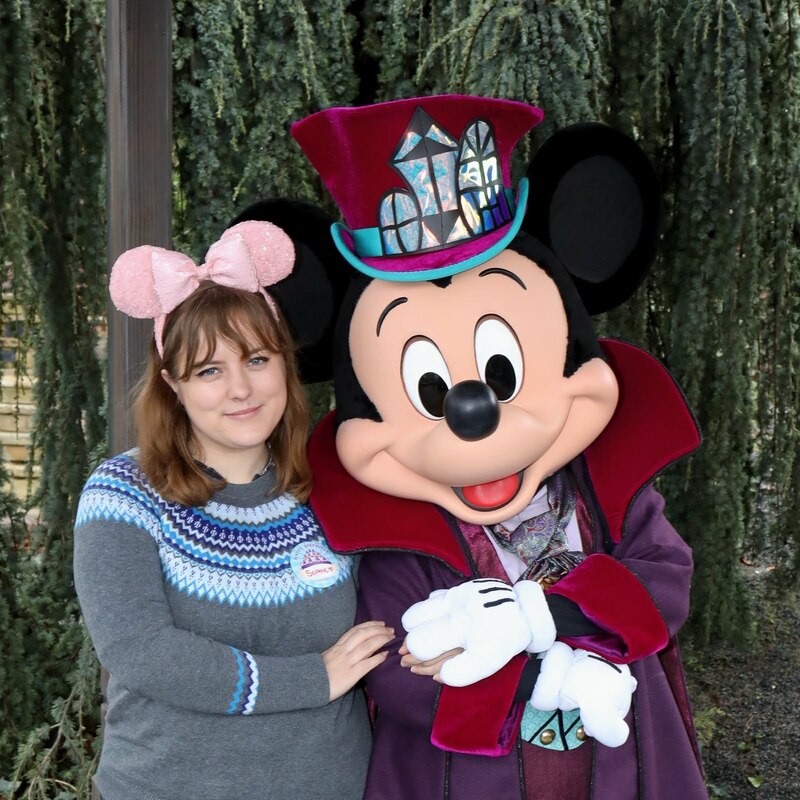 I'm not sure how regularly this will be, but welcome to Favourite Five - the place where I share five of my favourite things to do with a certain topic. 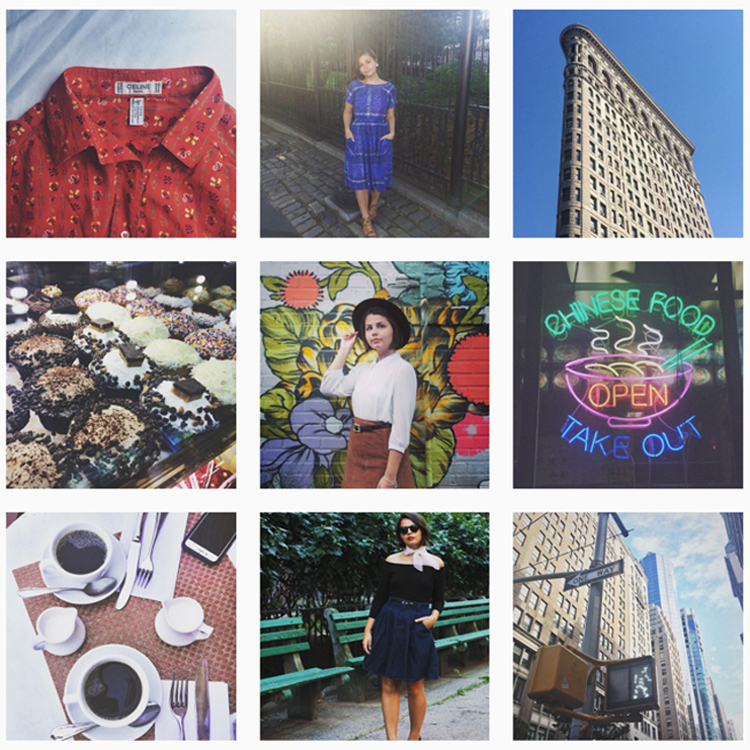 To kick it off, I thought I'd share my five favourite Instagram accounts with you so that you can enjoy them too. kelseyjbarnes - okay, so I'm a little biased here, because Kelsey is one of my best friends, but isn't her Instagram just the prettiest? I love it, and regularly go on to look at her pictures together (and to catch up on any I miss) because they just fit. They're also so completely her, and I love seeing a personality coming across in an account as much as hers does. wishwishwish - Carrie's account is another one I love. I absolutely love the photos she takes, and there's also no real obvious theme running through it, but it just works. I love the idea of a theme but have found they can be restrictive and love seeing accounts that just work without one. imii.mace - Imii's Instagram is just beautiful. I love how everything fits together and have loved seeing pictures from her time in Paris. There's a lovely mixture of pictures, from flat lays to scenic shots, and it just really works in my opinion. passingwhimsies - I adore Lauren's account! I've followed her blog for a good few years and absolutely adore seeing her fashion shots. Her Instagram is a combination of those with a few other lifestyle pictures to mix it up, and it's just all so lovely. I just adore her style and it comes across in all of her pictures. 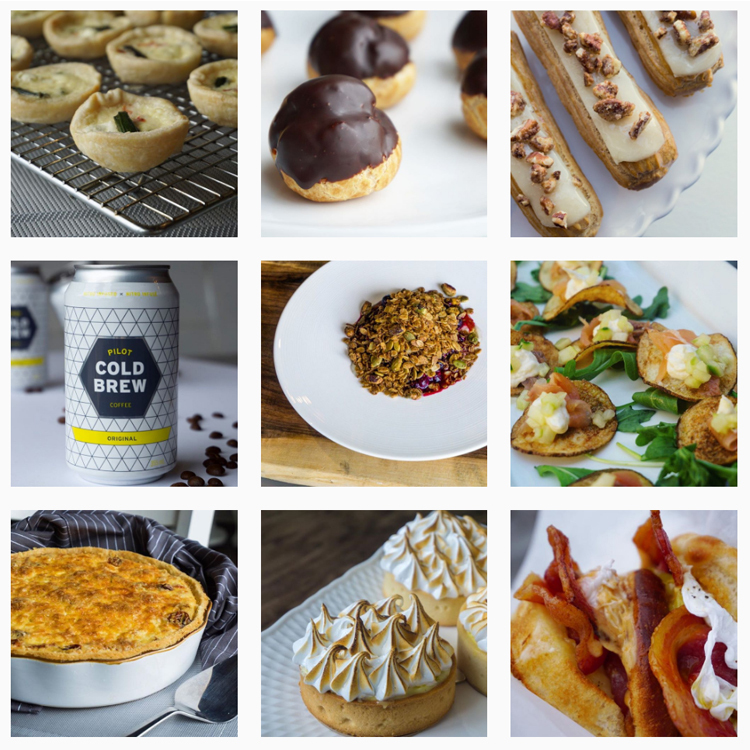 savingthyme- Food is always a winner for me, and I absolutely love the account for Saving Thyme, a patisserie that I visited last year in Ontario. Their food just looks gorgeous, and their Instagram feed shows it off so well. I may not get to visit them, but seeing their food on Instagram is almost as good as the real thing. 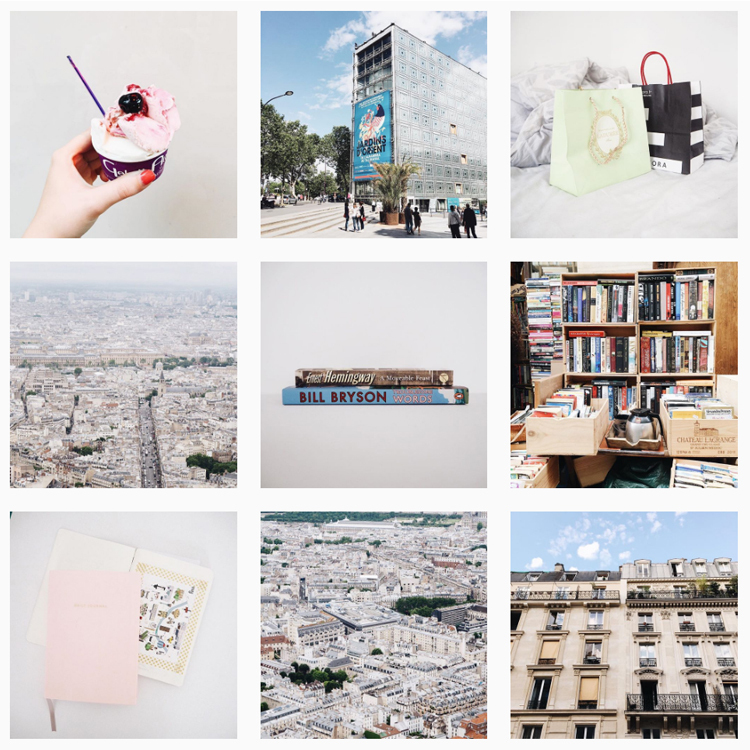 So there we have it, my favourite five Instagram accounts at the moment! Do you have a favourite you follow? And if you'd like to follow me, you can find me here.